A mini Android PC is drawing a phenomenal response on the crowd funding site Kickstarter. 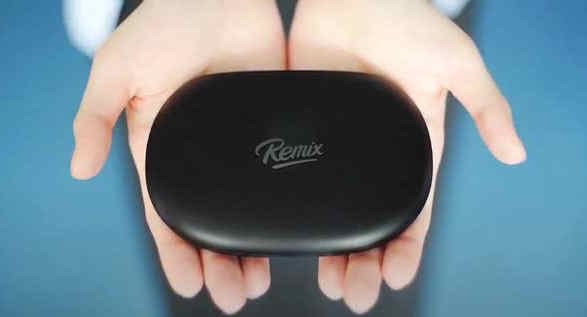 Against a modest funding target of $50,000, the Remix Mini Android PC has received commitments for over half-million dollars with 39-days still left for the funding campaign. The highlight of Remix Mini is that it combines the Android app ecosystem with PC features like a taskbar, multiple window multi-tasking, mouse and keyboard support. But a few Remix Mini backers are upset that the device does not support the Kodi technology (enables hardware accelerated video decoding) and are threatening to withdraw their backing. Latest to ride the mini PC wave, Remix Mini runs on a custom version of Android Lollipop (Android 5.0, the same OS beneath the hood of a gazillion smartphones). Powered by a 64-bit chipset, Remix Mini comes in two varieties. The $30 model packs 1GB of RAM and 8GB storage (the $20 early bird offer quickly sold out). For $40 (early bird price), you get double the memory and storage. Both models come with the holy grails of Ethernet, WiFi, Bluetooth and USB. Remix Mini is the brainchild of a bunch of ex-Google employees who previously cobbled together a laptop like Android tablet on Kickstarter. A big plus of Remix Mini is that 1.5 million Android apps will in theory run on the device. Plus, it can also be used as a media streaming device. But the huge negative is that most Android apps were built for smartphones. It’s not clear how they’ll look on a large screen. Here are the key specs and features of the Remix Mini. Expect to see Remix Mini in the hands of its backers in October 2015.